Believe the hype. The Great American Beer Festival (GABF) is big. It’s also loud. 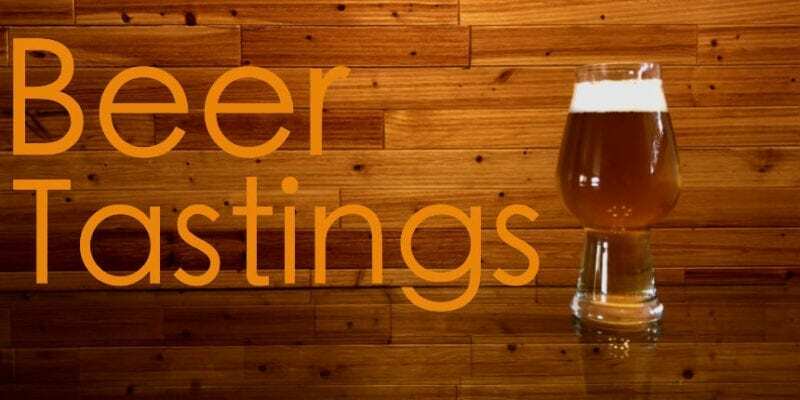 And it’s definitely the place to sample craft beers brewed from sea to shining sea. 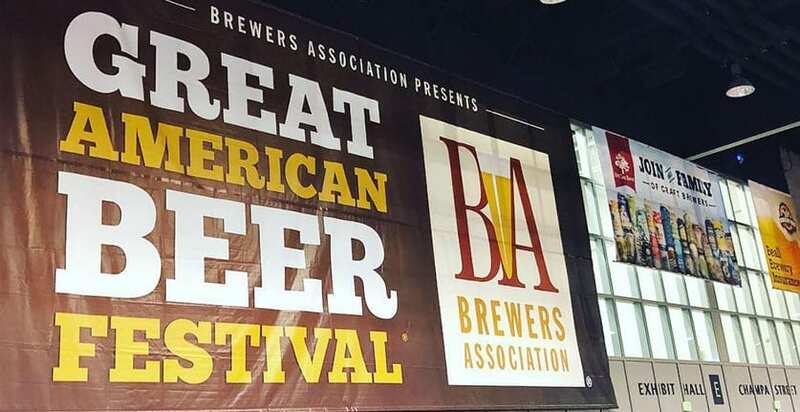 62,000 attendees packed 600,000 square feet of convention space at the Great American Beer Festival in Denver, Sept. 20-22, 2018. GABF, as organizers say, represents the “largest collection of U.S. beer ever served, in a public tasting event plus a private competition.” The 2018 edition took place Sept. 20-22 at the Colorado Convention Center in Denver. 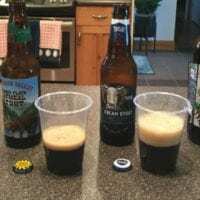 Since Utah Beer News is a craft beer news site, let’s first dive into the news item of note for the Utah craft beer community. The competition portion of GABF featured 8,800 entries from 2,400 breweries. 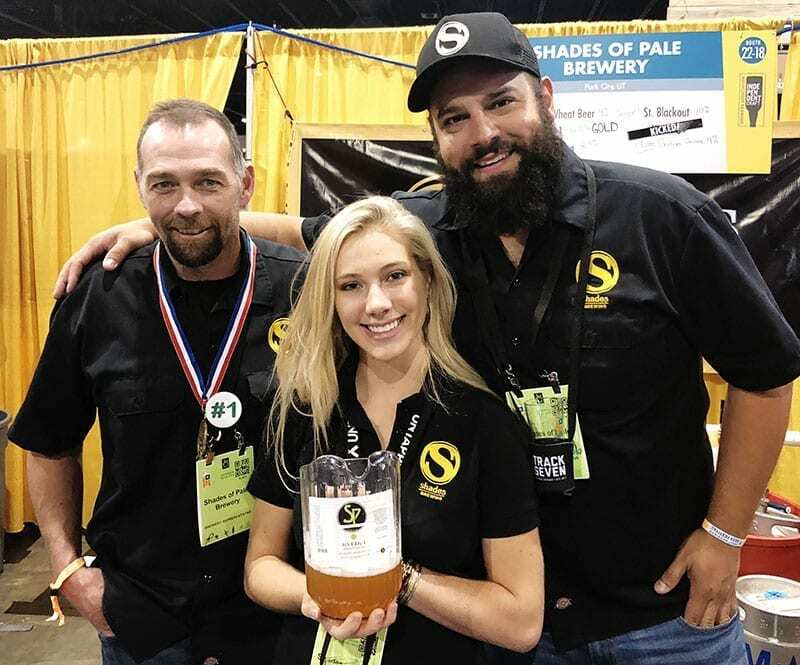 Two Utah breweries — Shades Brewing and Kiitos Brewing — each won a gold medal. Shades Brewing, based in South Salt Lake, earned gold in the American-style Sour Ale category (53 entries) for its Kveik 1 golden sour. The beer, which utilizes an ancient Norwegian yeast, is dry-hopped with Nelson Sauvin™ hops. It previously won bronze in the 2018 North American Beer Awards. 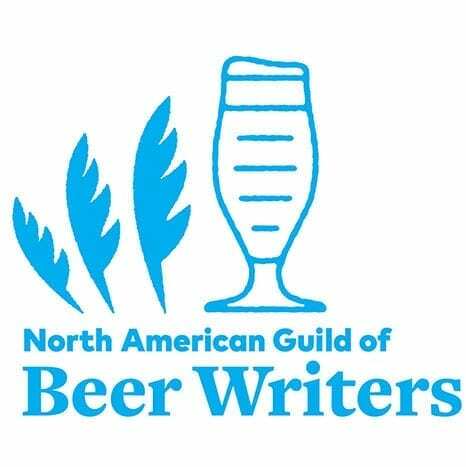 Shades Brewing picks up a Gold medal at the 2018 Great American Beer Festival for its Kveik 1 golden sour ale. “Every time we win an award, it’s a validation of our hard work, a recognition of our commitment to the craft, and an absolute honor,” says Trent Fargher, Shades Brewing founder and president. 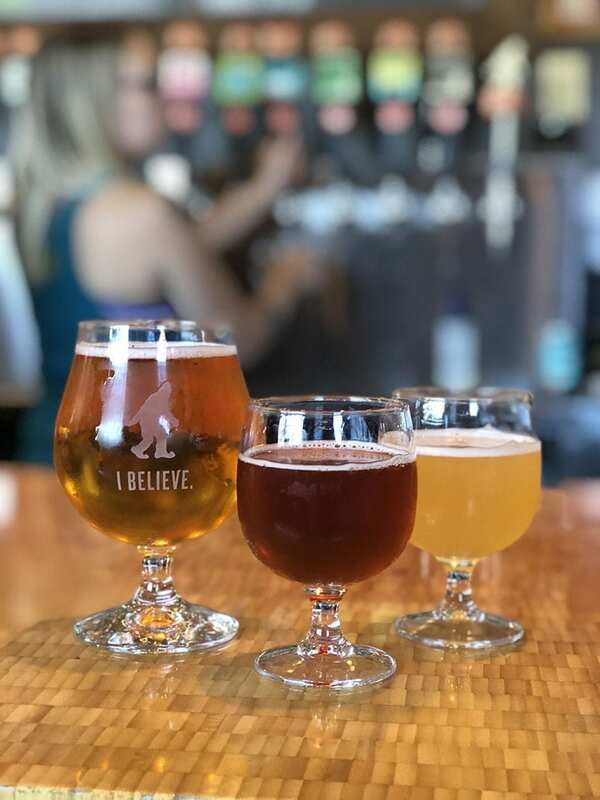 Kiitos Brewing, a Salt Lake brewery that is celebrating its one-year anniversary this weekend, nabbed gold in the Coffee Beer category (92 entries) for its 4% ABV Coffee Cream Ale. As I did following the Utah Beer Festival, I’ll share my personal experiences at the GABF in a HITS and MISSES format. 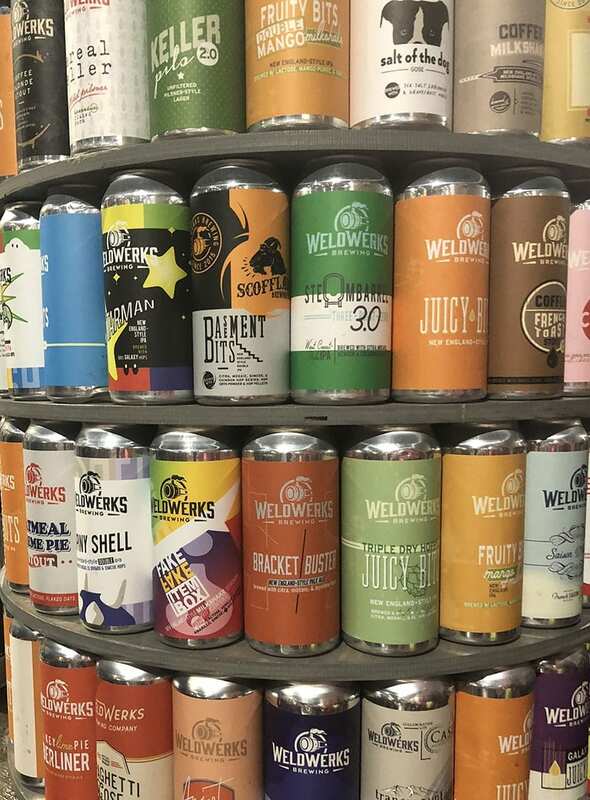 Utah Beer News’ award for “Most Unusual GABF Beer” goes to Weldwerks Brewing. Its Spaghetti Gose features tomato puree and assorted spices (basil, oregano). This was my first trip to the GABF, so I’m not yet a seasoned pro. I’m sure added experience on my part could rectify some of the aspects I found to be less-than-stellar. That said, there’s a lot to like about the GABF. Considering its sheer size — 600,000 square feet, 62,000 attendees, 800 breweries, dozens of vendors, sponsors, and more — organizers ran an extraordinarily smooth event. I sampled 75 or so beers. That translates into about 2% of beers available at the GABF. Needless to say, it’s important to go in to GABF with a game plan. Fortunately, I had one. 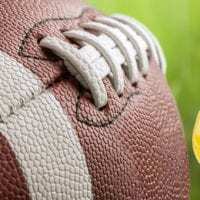 Ahead of the GABF, I researched beers and breweries I wanted to try (hat tip to PorchDrinking.com for its excellent coverage leading up to the event). And I tasted nearly every one on my list. As a beer drinker, I appreciate breweries recognizing the magnitude of the event and supplying beer accordingly. Sure, there were a few beers/breweries with big buzz that ran out early. But by and large, if attendees at the Thursday or Friday general sessions wanted to try a beer, they were able to try it. Some readers might consider this a MISS. “Why would I stand in line for a measly ounce of beer?” you wonder. I salute the smaller samples. It allowed more opportunity to taste a wider variety of beers. And since it’s an all-you-can-drink ticket, you don’t feel cheated by a shorter pour. At Utah festivals, where you’re paying per drink, you’ll obviously want a bigger pour for your buck (or three). This might be an aspect others who attended would consider a HIT. While the food and beer were nearly universally delicious, the setup left me feeling less-than-satisfied. First, it seemed too many tickets were sold for the space. We were elbow-to-elbow much of the night (especially Friday), which made it difficult to enjoy the pairings. Additionally, improved signage could have helped eliminate some confusion and congestion toward the front of the lines. I realize the info is available on the app. Still, it would be nice to have overhead signage (rather than simply tabletop) letting people know which pairings are available at each station. It’s interesting that I felt the same about the Utah Beer Festival pairing event. 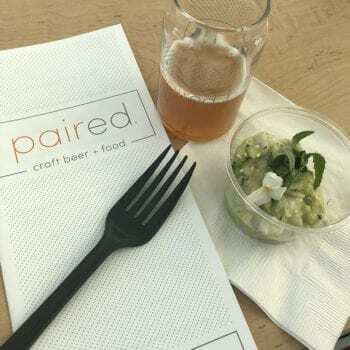 Perhaps food/beer pairings at beer festivals just aren’t for me. Note: This actually might earn a half-HIT for allowing attendees to skip the massive general-admission line that wound around the convention center. For our second night of PAIRED, we planned to hit the main floor first and then move on to the food/beer pairings. Once we saw the GA line, we reconsidered and visited PAIRED before entering the main floor through a special door. Yes, I went old-school onsite and used a printed spreadsheet and notebook to jot down notes and check off my beers. However, I used the app extensively during my pre-GABF prep work. I also referred to it a lot outside the festival. Super-simple to navigate and updated constantly, the app is a must for any GABF attendee. Great work, developers! While the PAIRED signage proved troublesome, the event’s overall layout and signage scored an A+ in my book. Some might gripe about the new alphabetical layout, but for me as a first-timer (I knew nothing different), it made a lot of sense. Plenty of space between aisles, clear signs denoting brewers and beers, and an overall aesthetically pleasing design were all appreciated. See PAIRED note above. Once the doors opened, it took us nearly an hour to wind our way into the four-hour Saturday afternoon Members Only session. The line literally circled the convention center. Obviously with 60,000 attendees, there will be lines. But it seems that GABF could take a page from other arena-type events and open more than one entrance for admission. Funneling that many people through five double doors is bound to be problematic. In all, I attended three general sessions (and two PAIRED sessions). My total taster count topped 75. It hardly made a dent in the 4,000+ beers available. A collaboration with Belgium’s Oud Beersel, this one won Gold in the Collaboration Competition. A delightful sour cherry tartness but not puckering. For some reason, I didn’t taste nearly as many IPAs as I would have liked. Sours and darker beers seemed to be calling my name. But I did sample a few hop-forward brews and this one, with its orange-juiciness and citrus flavor explosion, stood out. 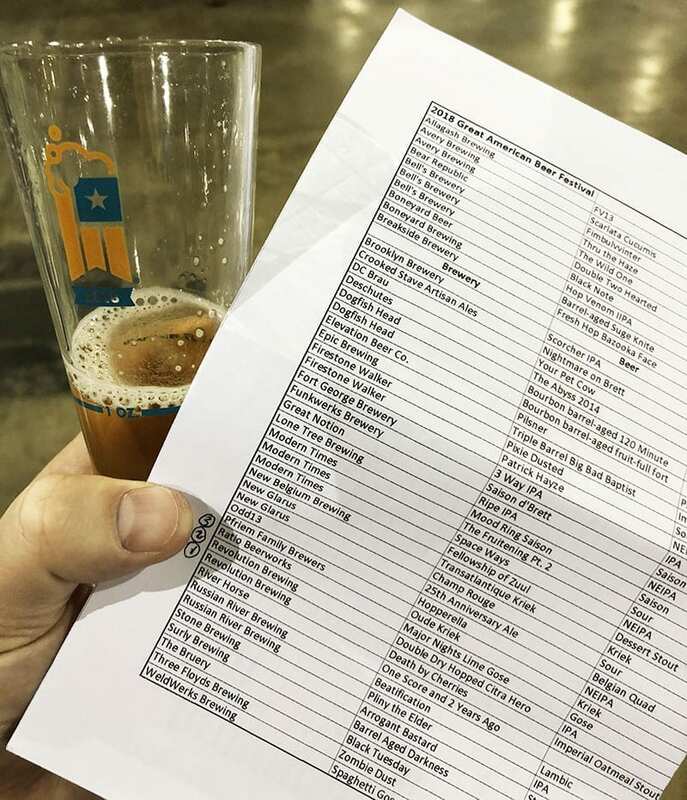 A handful of “anniversary” beers were on tap at GABF. This one, with its roasted coffee and dark chocolate, was one of my favorites. First beer of the GABF (on the main floor). Why not start with a 13.1% imperial oatmeal stout? Bourbon, oak, and chocolate-covered cherries. The GABF 2016 Small Brewer of the Year brewed a porter that blends flavors of chocolate, marshmallow and, yes, graham cracker. Sweet, sweet dessert in a glass. I sampled this one at PAIRED. Nice cherry flavors with a hint of spiciness on the finish. Reps said it’s fermented using wild wine yeast strains from the grape skins rather than traditional brewers yeast. Tastings at Great Divide Brewing Company. Denver is a craft beer epicenter. It’s home to 70+ breweries, according to this late-2017 Westword article. So it made sense to explore the city during GABF off-hours. This is a quick snapshot. I’ll have more in an upcoming Beer Travels article. The beer tastings started at Denver International Airport. The Denver Beer Flights beer garden featured 10 brews from a variety of Colorado craft brewers. It proved to be the perfect way to kick things off. Highlight: Colorado Kölsch by Steamworks Brewing Co.
Wynkoop Brewing Co., Colorado’s oldest brewpub, opened in 1988. Next stop: Wynkoop Brewing Co. and Colorado’s first brewpub. It’s a beautiful pub with an innovative assortment of beers. I started with a pint of Piña Vida IPA and moved on to sample three tasty sours, my favorite being the Kvass Up?! 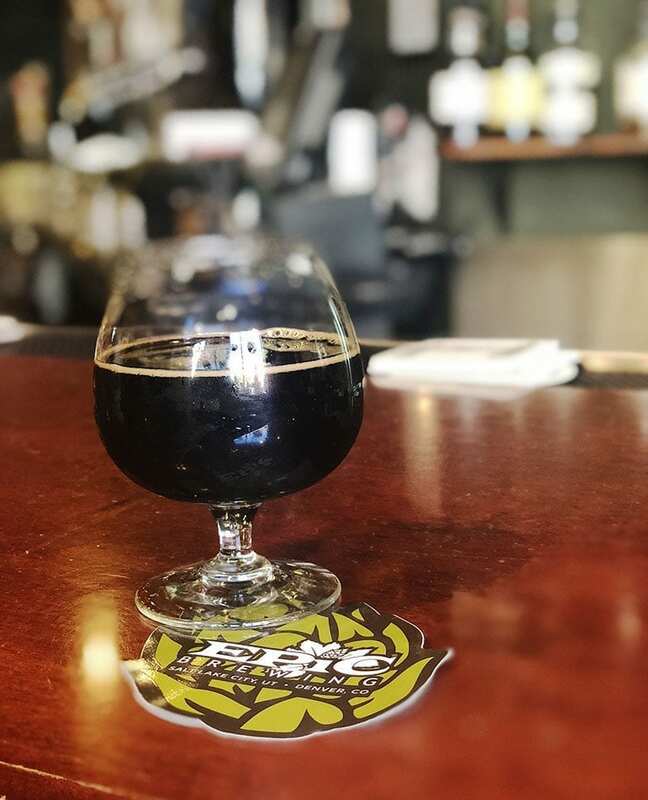 Highlight: Smoked Rocky Mountain Oyster Stout. Because, why not? 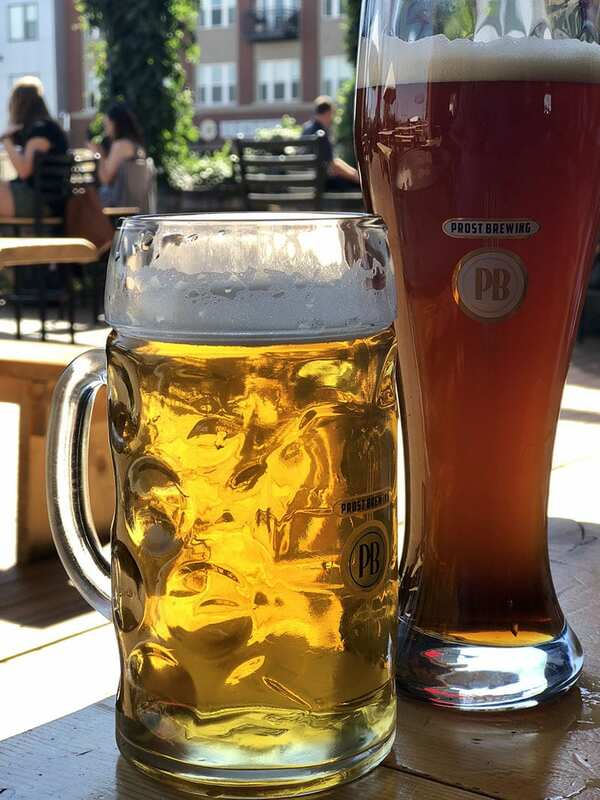 We enjoyed a Helles, left, and a Dunkelweizen at Prost Brewing — a day before the start of Oktoberfest in Munich. The following day, an afternoon of tastings took us (my wife joined me) to Prost Brewing, Jagged Mountain Brewery, and a Great Divide Brewing Company taproom. Highlight: Helles from Prost. Elsewhere, in no particular order, we sipped beers and played Ms. Pac Man at The 1-Up. We relaxed at Falling Rock Tap House (where we ran into Brian from 2 Row Brewing and Del from Beerhive). And we enjoyed a delicious brunch at Freshcraft paired with beers from Epic Brewing Company. Quad Barrel Big Bad Baptist by Epic Brewing Company. 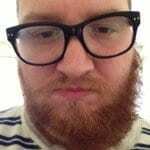 It’s a delightful addition to the Big Bad Baptist family. For my first GABF, I consider it a success. How about you? Did you go to GABF? Or have you been in years’ past? Please feel free to share your own thoughts on the event. I’d love to get some pro tips for next year (Oct. 3-5, 2019)! 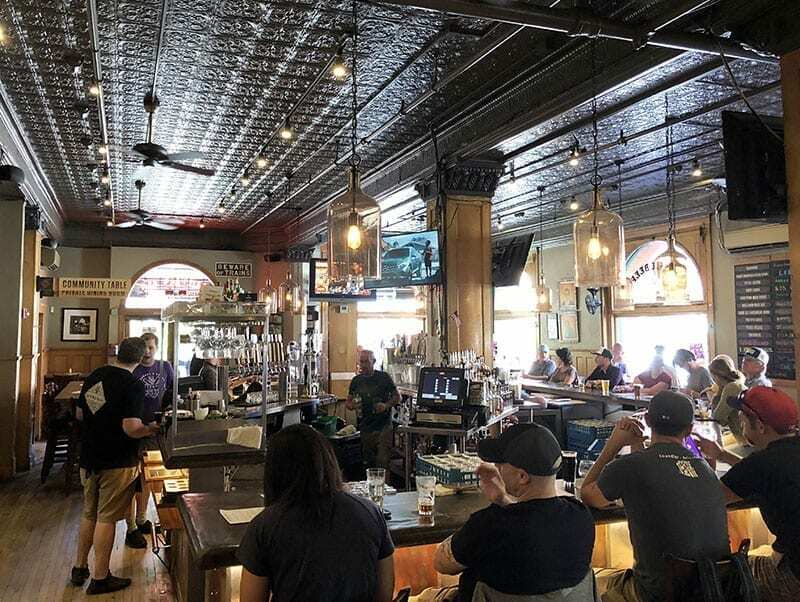 This entry was posted in Blog, Breweries, Events, Out & About and tagged beer festival, GABF, Great American Beer Festival, Kiitos Brewing, Shades Brewing Co.. Bookmark the permalink.